Next to Rosslyn Chapel in Scotland, no other place on Earth holds as much esoteric symbolism as France's Rennes le Ch'teau. Its location and design are the subjects of countless rumors, myths, and legends. 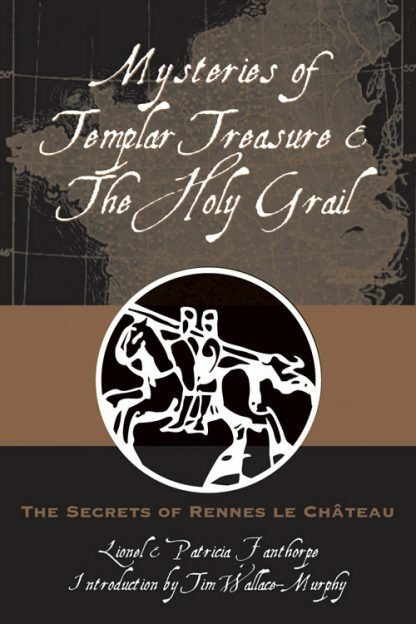 Mysteries of Templar Treasure and the Holy Grail, formerly published as The Secrets of Rennes le Chateau, delves into the reality behind the action and adventure of The Da Vinci Code. Rennes le Chateau has plenty of secrets: buried treasure, unsolved murders, supernatural powers, codes on parchments and tombstones, not to mention clues concealed in statues and paintings, enigmatic priests who controlled immense wealth, and secret societies that are still active today. The authors survey the arcane history and secrets of Rennes le Chateau, including its relationship to the Merovingian bloodline of Christ. The Chateau is a possible location of an immense treasure, such as a Templar, Cathar, or Priory of Sion hoard. The final resting place of a famous artifact like the Ark of the Covenant, the Spear of Longinus, the Emerald Tablets of Hermes Trismegistus- or even the Holy Grail. The authors also examine Rennes le Chateau's proximity to Cathar and Templar fortresses, its mystical layout, and its location on the same Paris meridian as so many other esoteric mysteries. Extensive appendices in the book offer possible solutions to secret cryptograms, point out odd connections and commonalities between Rennes le Chateau and J.R.R. Tolkien's Lord of the Rings, and suggest the possibility of fourth-dimension/tesseract implications.